Finns n eed their own personal space. Whether it’s a stranger standing on a bus stop or a friend from the school, it’s always polite to keep your distance. If you don’t know each other that well, it’s common to greet by shaking hands or just saying hello. Hugging is acceptable only between family members and close friends and in some cases at 4 am outside a club. Kissing is always a gesture of love or attraction. So when you are greeting a Finn, don’t stand too close, look too deep in the eyes or especially give kisses on the cheeks. 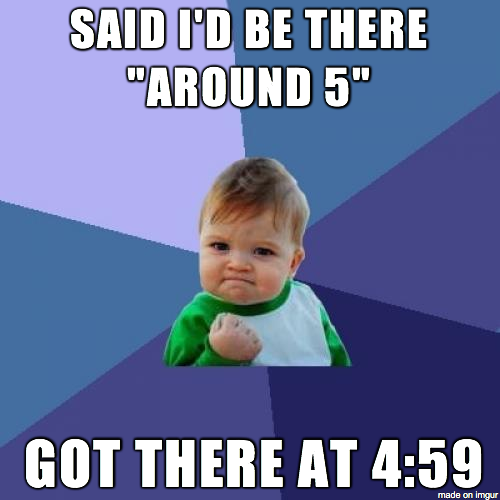 Finns are also extremely punctual people. If a meeting is set to start at 8, it really starts sharply at 8. Finns hate it when people or public transport are running late. If the timetable says the bus comes to the bus stop at 10.02 and it’s already 10.03, Finns are starting to look around if the bus is really going to show up. Even though it’s typical for Finns to get annoyed or frustrated about many things, it’s also really uncommon to complain about it. If the food is cold at the restaurant, and the waiter comes and asks how the food is, it’s typical to say the food is good even though it isn’t. Finns don’t want to bother anyone or draw attention, they just usually settle for less and complain later to their friends. Even though Finns are kn own to be shy and quiet people, there is one thing that makes Finns go crazy, and that’s ice hockey. When Finland won the Ice Hockey World Championship in 2011 people run out to the marketplace yelling and singing. Some were even swimming naked in the fountain no matter the freezing weather and TV cameras. So ice hockey is like a national sport in Finland and success in that gathers around this quiet population together to celebrate. Finland is a country where considerable weight is attached to the spoken word – words are chosen carefully and for the purpose of delivering a message. Finns place great value on words, which is reflected in the tendency to say little and avoid ‘unnecessary’ small talk. As the Chinese proverb puts it, “Your speech should be better than silence, if it is not, be silent.“ The conception that Finns are a reserved and taciturn has changed and does not retain the same validity as it used to, certainly not with the younger generations. Nevertheless, it is fair to say that Finns have a special attitude to words and speech: words are taken seriously, and people are held to what they say. Finns rarely enter into conversation with strangers, unless a particularly strong impulse prompts it. 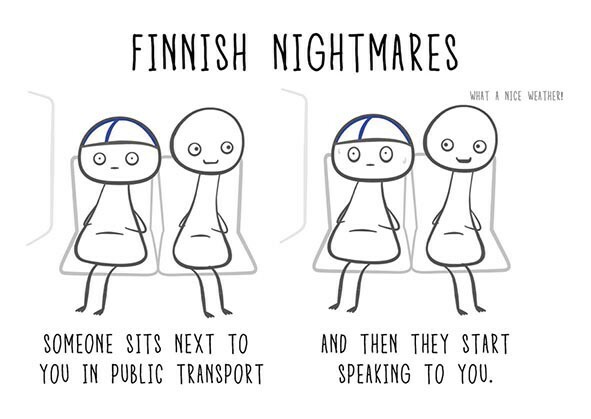 As foreigners often note, Finns are curiously silent in the metro, the bus or the tram. In lifts, they suffer from the same mute embarrassment as everyone else in the world. Finland mentioned! Let’s meet at the town square! Honesty is highly valued in Finland. It is important to always keep your promises and adhere to agreements. For Finns, dishonesty is the worst vice imaginable. Work and diligence are held in high regard. Equality and fairness are important values for Finns. In Finnish society, everyone is equal and must be treated fairly. Women and men are equal. Punctuality is important in Finland. When you have a meeting, it is essential to arrive at the agreed time. If you have made an appointment with an official or doctor, for example, it is especially important to be there on time. Modesty is a significant value in Finland. People tend not to distinguish themselves in a group. They avoid loudness and bragging. In Finland, it is good manners to take others into account and listen to them. Finns are not very quick to strike up conversations with strangers. For this reason, Finns may initially appear quiet and cold. The Finnish style of speech is direct and straightforward. Finns tend to state things directly and honestly. In Finland, it is expected that people truly mean what they say. Finns often speak slowly with long pauses in between. Silence is not undesirable but natural, and quiet moments do not need to be filled with speech. It is uncommon in Finland to show your emotions in public. It is considered rude to raise your voice when speaking, especially in a public place. Like Asians, Finns take off their shoes after they have entered someone else’s house which can be considered as somewhat weird behavior to some people. Tipping has never fitted very comfortably into the Finnish way of life. 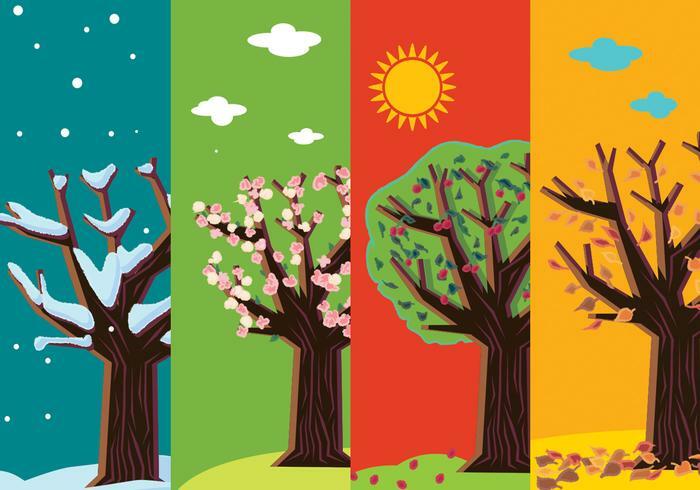 This may have originally been due to the traditions of a religion which emphasized frugality. Today, the rather blunt reason for not tipping is that the price paid includes any unusual instances of service or politeness i.e. the view taken is that “service is included”.